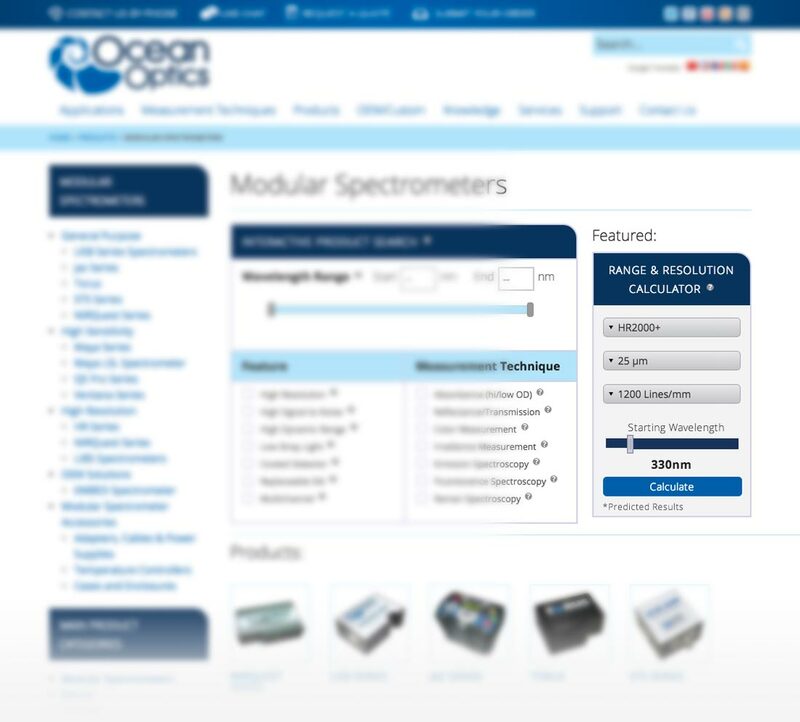 For Ocean Optics, Grafx Design was able to take a very complex and deep site and transform it in a way that is clean, intuitive and impactful. 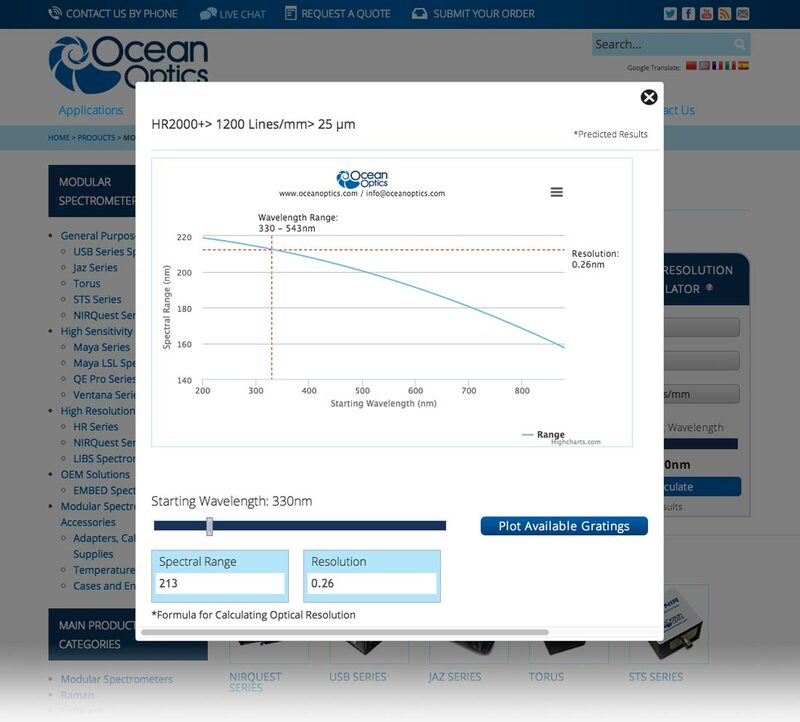 By carefully mapping out the user interface to best fit the product research progression of Ocean Optic’s key customers, Grafx Design developed a three-tier approach that allowed the user to browse by Product, Application and Technology. 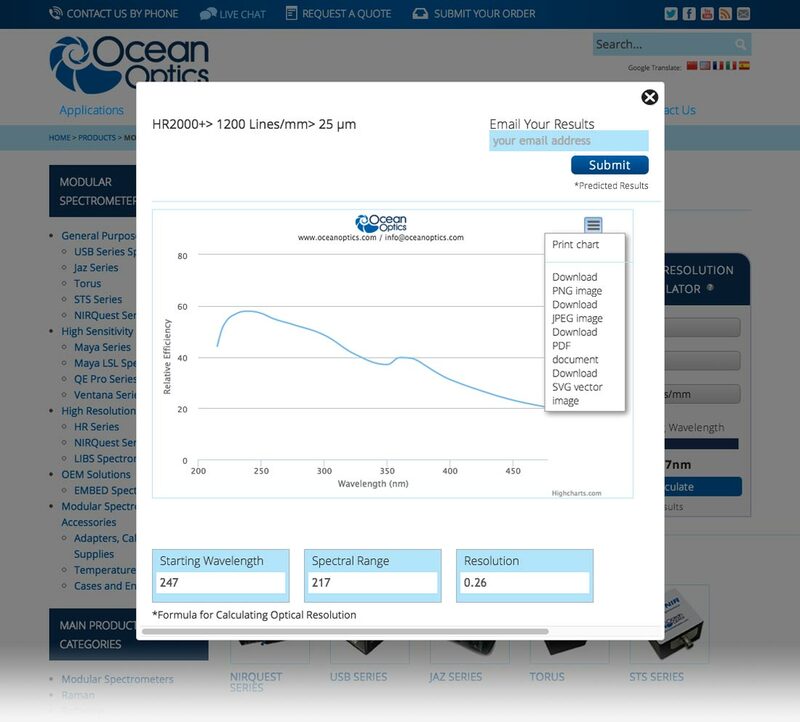 These sections then utilized the customization of the Content Management System to allow the client to crosslink the content giving the user an intuitive path to purchase. With this, Grafx also created two interactive product tools for customers to help enhance their buying experience.